What we like most about this pack is its balance and comfort. The low profile, narrow design allows full freedom of motion on more technical hikes. Even when fully loaded, its weight distribution makes it feel very light and balanced. We also admire the minimal “strapping”, allowing travel through thick brush without getting snagged. The top load access is simple, efficient and weather resistant. 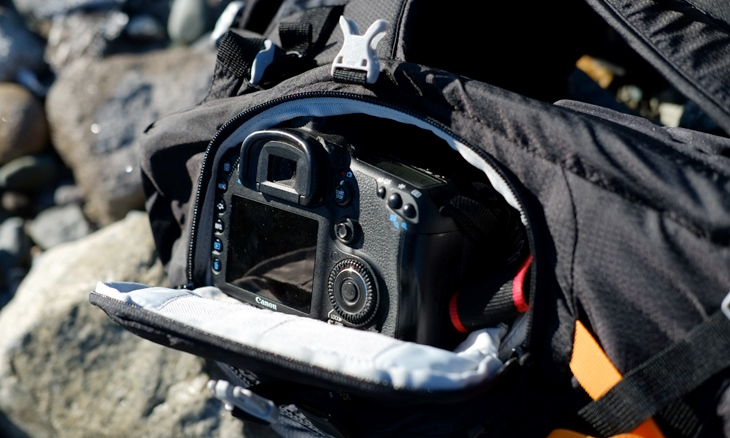 This bag holds a surprising amount, including an internal vertical channel that runs the length of the bag, ideal for a tripod. The placement of the camera compartment is perfect. 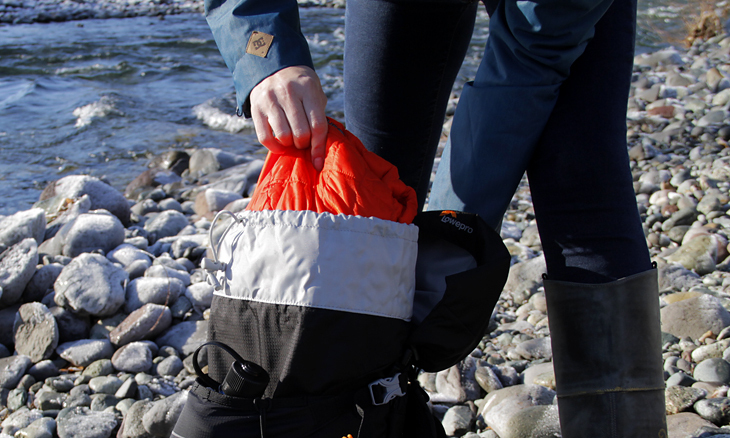 Just swing the pack under your arm, and all your gear is accessed easily. We were able to fit a mirrorless camera with lens attached, along with an extra lens or small flash. We also fit a DSLR with a decent sized zoom lens. There are even clever pockets designed specifically for extra memory cards. 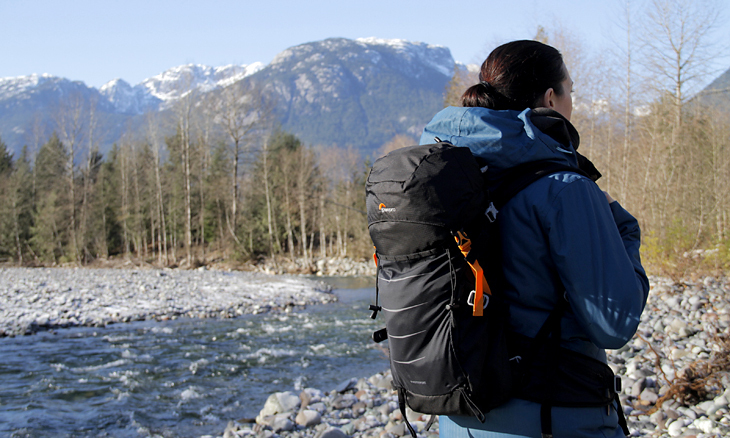 This is the perfect minimalist bag for day hikes, bike rides, travel or any outdoor adventure—especially with the option to integrate a water bladder. 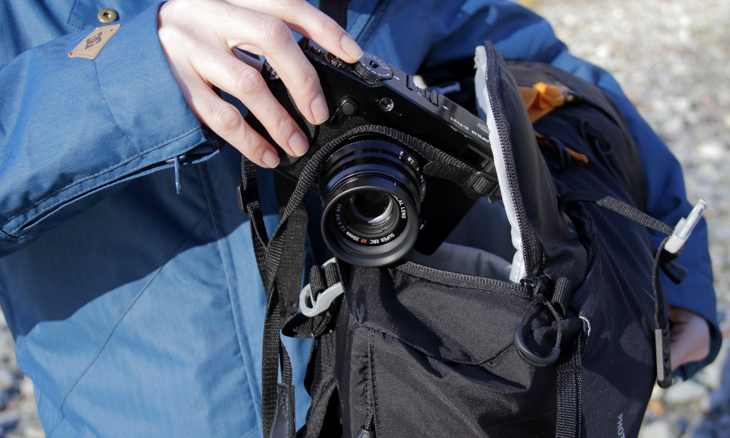 Photo Sport BP 200 AW II is designed to protect your photo gear in the UltraCinch™ chamber, and all of your journey’s essentials in the open space. A roomy, toploading compartment is built to store a day’s worth of creature comforts.